This photo postcard from the early 1900s is of William "D. B." Grutzmacher of Pottawatomie County. 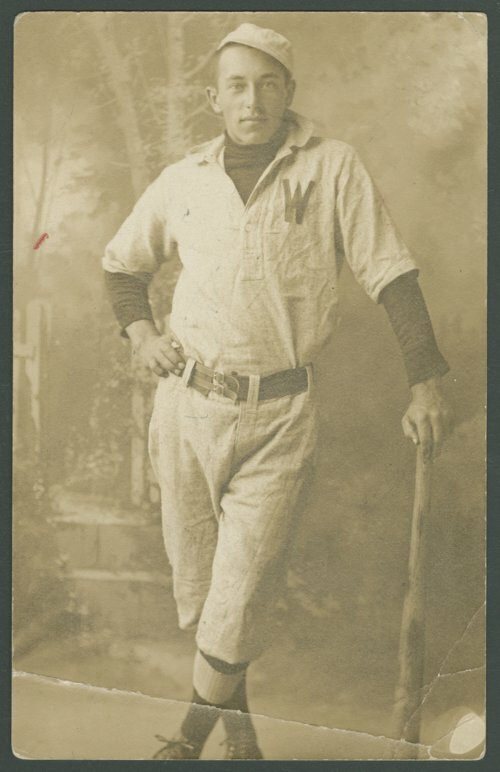 Grutzmacher is posing with a baseball bat and is dressed in a baseball uniform. The team is not identified, but it likely was the Westmoreland town team, given the "W" on the jersey and the fact that Grutzmacher was a lifelong resident of the area. The back of the postcard carries the inscription "Dutch Billie Again." Grutzmacher (1891-1972) was a farmer-stockman.